As you’re looking around, questions may come up. Here are the answers to the questions we hear most often. We are flexible, but do have a few strict rules which are meant to preserve the ballroom. • Glitter, confetti, glass beads smaller than a quarter. • Unprotected votive candles, all candles must be in a glass vase/container. • Hanging of anything from the ceiling or chandeliers unless your decorator has proof of insurance for the Falls Ballroom. Dee’s decorating is pre-approved. Can I nail things or decorations to the walls? No, 3M removable hooks that do not leave a mark are permitted. Nails, thumbtacks, push pins or any other hanging device that leaves a hole or mark is prohibited. Damages incurred will be charged accordingly. Where should I buy the beer kegs and liquor for my event? Beer kegs must be purchased through The Falls Ballroom. You are responsible for bringing the bottles of liquor. West Side Liquor or Coborns Liquor can help you determine how much is needed. Can family members or friends bartend at my reception? Do to insurance policy requirements, we cannot allow outside bartenders to serve alcohol at the Falls Ballroom. Who staffs the bar during our reception? We will arrange bartenders for your reception at a cost of $75 per bartender. The number of bartenders will be determined by your final guest count. Can we bring our own drinks to our wedding dance? 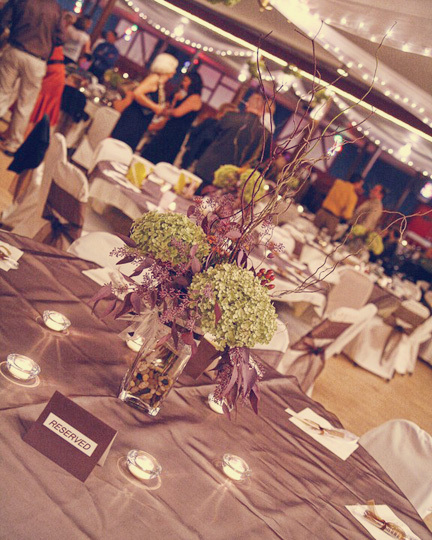 The Falls Ballroom will operate a cash bar during the wedding dance offering beer, pop, wine and wine coolers. No mix, pop, beer, wine or wine coolers can be brought in for the dance. Please notify guests of our policy. You may bring liquor for consumption during the dance, but mixers must be purchased from the cash bar. We have been very blessed with bookings and we strive to give each event the personal attention it deserves. There are just the two of us to answer phones, if we are unable to take your call please leave a message and we will get back to you in a timely manner. Our office hours are Tuesday through Friday, 9 a.m. to 6 p.m. However, we do have bookings sometimes during the week. Do you serve “plated” meals? No, we believe in keeping costs affordable for our customer, letting your guest choose what they want on their plate and having a hot plate of food rather than serve a plated meal. Didn’t find the answer you’re looking for? Feel free to contact us.